Jennifer has been fully involved in the Montessori world for the past 30 years in Cape Town, South Africa. She has directed and taught in classrooms for children between the ages of 3 to 9 year olds and co-ordinated and developed teacher training courses. During this time she has also made two adventurous overland trips into the continent of Africa, visiting some eighteen different countries. Xoliswa has spent over 25 years working at Auburn House School supporting teachers in the classroom and teaching isiXhosa to Primary school children of all ages. She was instrumental in leading self-development studies with women over several years. 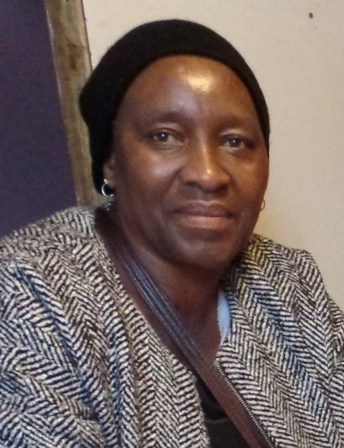 She currently is plays a central facilitating role in the First Children programme, leading mother tongue discussion groups with adult students and providing direct liaison with the Xhosa community. Fasiegha’s journey as a social justice activist began in the late 1980’s. She contributed to the struggle for a new and alternative education within the broader movement for freedom in South Africa. Her life-long education and work continues to be richly inspired by the healing arts and is currently completing her training as a Personal Mastery Life Coach. Fasiegha enjoys a long-standing association spanning 30 years as a parent within the Auburn House Montessori community. Sibulele hails from the Eastern Cape rural village of Ngqushwa and holds a B.A degree and a teaching qualification from Rhodes University in Grahamstown. A young man with a generous nature and a warm sense of humour driven by a sense of social justice and love for his country. He worked as a journalist and then found his passion in teaching, which he has been doing for the past four years.